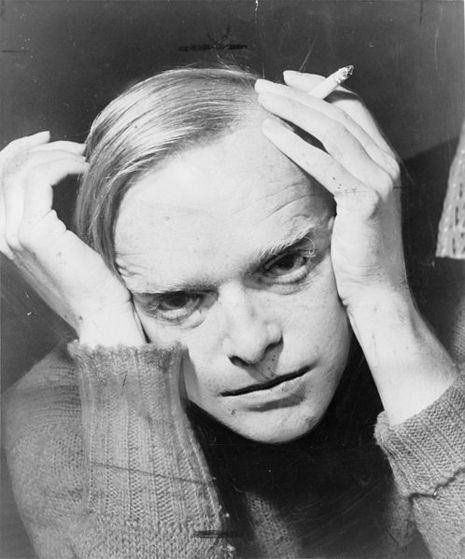 Truman Capote (September 30, 1924 — August 25, 1984) (born Truman Streckfus Persons) was an American writer whose short stories, novels, plays, and non-fiction are recognized literary classics, including the novella Breakfast at Tiffany's (1958) and In Cold Blood (1966), which he labeled a "non-fiction novel". 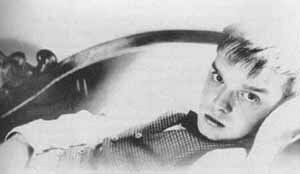 At least 20 films and television dramas have been produced from Capote novels, stories and screenplays. Truman Capote was born in New Orleans, Louisiana, the son of 17-year-old Lillie Mae (née Faulk) and Archulus Persons, who was a salesman. When he was four, his parents divorced, and he was sent to Monroeville, Alabama, where he was raised by his mother's relatives. He formed a fast bond with his mother's distant relative, Nanny Rumbley Faulk, whom Truman called 'Sook'. "Her face is remarkable—not unlike Lincoln's, craggy like that, and tinted by sun and wind," is how Capote described Sook in "A Christmas Memory". In Monroeville, he was a neighbor and friend of Harper Lee, who grew up to write To Kill a Mockingbird (with the character Dill based on Truman).